Many would claim that there is no substitute for teak. 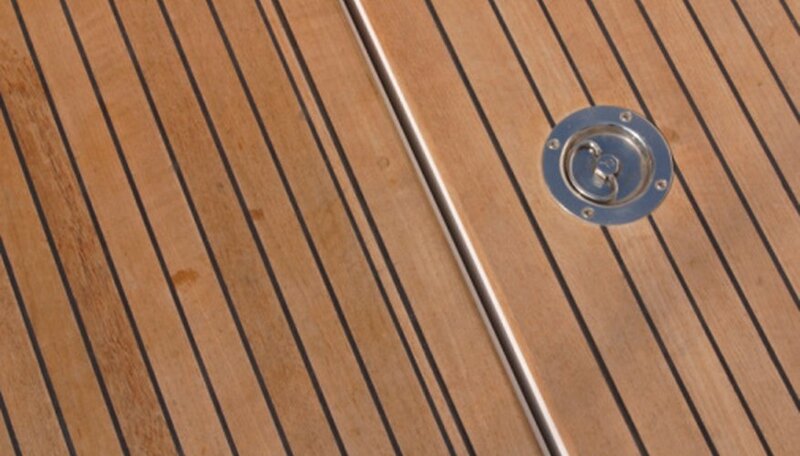 Teak is the most water-resistant, fire-resistant, sun-resistant, decay- and insect-resistant of all timbers. It is claimed the teak decks on Titanic are as good today as they were when it sank. Middle East oilfields use teak as it is the only timber able to withstand desert conditions that does not conduct electricity. Teak furniture requires no preservative either indoors or out. However, teak is expensive and stocks have to be maintained. Many woods can be stained to resemble teak, but five worthy substitutes have similar properties to teak. Iroko is referred to as "the poor man's teak" and sometimes called African teak or Nigerian teak, having similar properties to teak but at far less cost. Iroko is used in boat building, furniture construction and decking and can be used outside untreated, although it not as stable as teak. Indoors, it is frequently used for kitchen worktops. It darkens to a rich brown making it similar in appearance to teak. Afromosia looks very similar to teak and has similar uses, being used for boat building, decking furniture and marine constructions. The wood is heavy and dense with excellent crushing properties. It is resistant to decay and insects but does not have the oily texture of teak. Due to its density, it can be moderately difficult to work and metal fixings can cause staining when exposed to weathering. Ipe, pronounced ee-pay, is one of the heaviest, most dense timbers, being difficult to cut and work. It is resistant to fungi, decay, fire, weathering and insects, except marine-boring species. It is as durable and as strong as teak and is suitable for outdoor uses, but care has to taken to avoid inhaling Ipe dust as it can be mildly toxic and can cause skin irritations. Cumaru is sometimes referred to as tonka wood or as Brazilian Teak, being resistant to insects, rot, decay and fire. Having interlocking grain, it can be difficult to work, but it is very strong and durable and is suitable for marine construction work and decking. It has similar coloring to teak but is three times as hard. Vitex, also known as New Guinea teak, is a member of the teak family. Vitex is durable and strong, has good steam-bending properties and is used for boat building, outdoor furniture construction and decking and marine constructions. The wood has an oily texture, is olive-brown in color and has both interlocking and straight grain.The timber works and finishes well.